I remember when my baby turned one-year-old. Goodness how sweet and squishy he was! I vividly recall thinking, there is no way that this angel child could ever turn into a tantrum throwing toddler. He is just too sweet and well mannered. Plus, I stay home all the time and show him how civilized folks interact! It was not very long after his first birthday that my little guy started showing me that he does indeed have his own opinions and is not afraid to make them known. Very boldly in fact! I was not prepared and had no idea how to deal with temper tantrums. 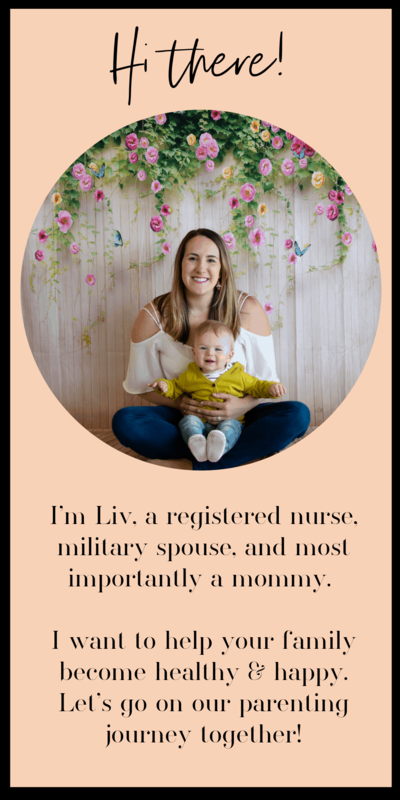 After struggling for quite some time, I made a decision that I was not going to navigate this phase of parenting through ignorance and just “hope” it gets better. Especially after my toddler hit me in the face in public, threw his food at the waitress, and screamed at the top of his lungs in the library. Like you are right now, I began researching every corner I could think to find parenting answers in regards to dealing with temper tantrums effectively. There is a lot of opinions out there regarding temper tantrums. You will probably receive many of them, whether you asked for them or not. Your mommy friend with an older child may have resorted to the Starbucks drive-through offering cake pops in trade for good behavior. You may even consulted Dr. Google who says that if your child has aggressive or frequent tantrums, this could be a sign of a psychological disorder. I am sorry Dr. Google but that advice doesn’t sit well with me. This post is in fact, my opinion on the subject. I have gathered it through my research in a handful of helpful books written by child development psychologists and experience as a mom. 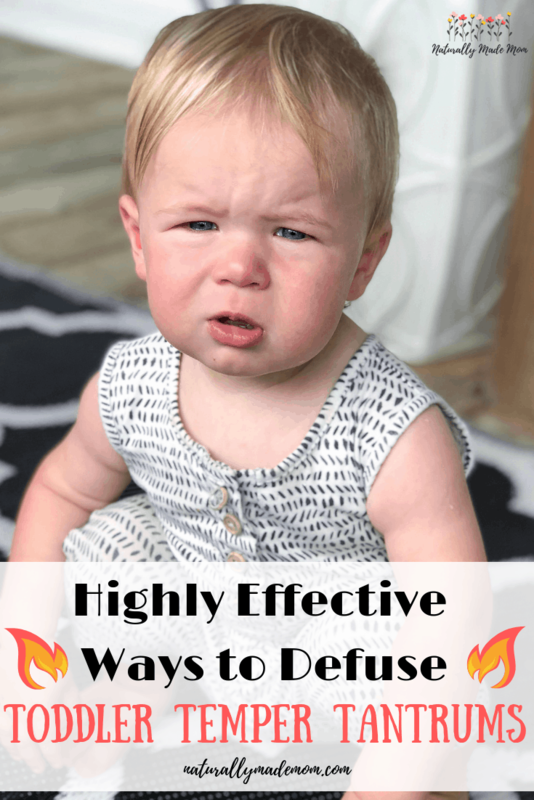 I hope this information will offer you a down-to-earth perspective on dealing with temper tantrums so you can interact with your toddler lovingly, even in the thick of it. You know that old saying…”the terrible twos.” We have heard that reference made time and time again. Two-year-olds have been making a reputation for themselves as being “terrible” for long enough to become an aphorism. Tantrums are obviously a normal part of human development. So if you don’t mind, I am going to get a little nerdy for a second and go back to my training as a registered nurse. Human beings have big, complex brains. The anatomy of our brain is divided into two hemispheres. The left is the logical, “let’s think this through” side. The right is the creative but emotional side. According to Drs. Siegel and Bryson, the first three years of a child’s life they are right-brain dominant. The big emotions kick in before children have logic to control them. 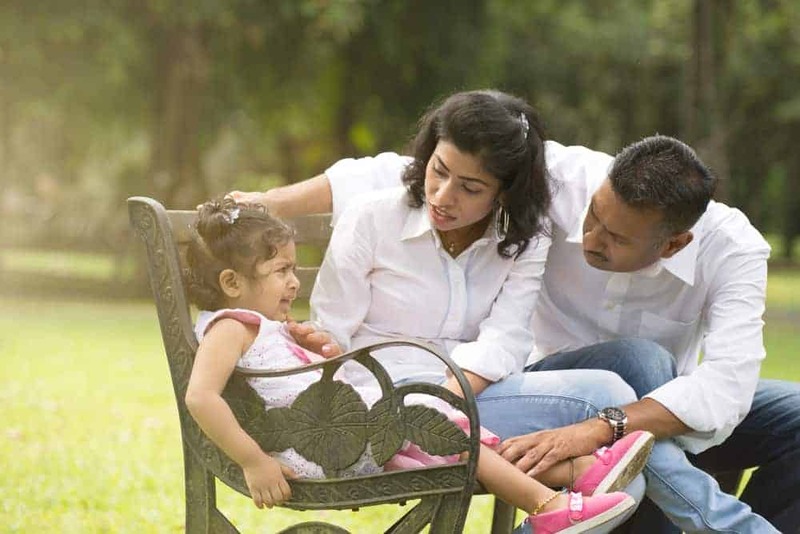 As, parents, we have to separate our own emotions in the moments our child is throwing a tantrum to be able to show them the proper way to behave. We have to deal with the situation with the understanding that our child is not having a tantrum because he hates us or want us to have a bad day. He has just not developed the cognitive ability to self-regulate. It will come with time, growth, and repetition. It is our job as parents to TEACH our kids about life. This includes recognizing emotions and learning how to communicate their needs. Our goal is to help our children practice the art of self-regulation. To feel but not to act. This monumental task begins the moment real emotions come on to the scene…toddlerhood. Ok so we have covered that tantrums are a normal part of human expression, but maybe your child is exhibiting behaviors that have you worried. Is your child doing things like holding their breath or even throwing up? Maybe they turn a Valentine’s shade of red and their limbs thrash around like one of those dancing kites in front of used car lots. Unfortunately, these behaviors are all the many variations of normal. You should consult your pediatrician when your child starts a new behavior that worries you. Hearing their advice will never hurt and it may ease your anxiety! Even if your child’s teacher is reporting increased outbreaks in comparison to other kids, I would challenge you to look further into the cause before going down the “let’s get a formal diagnosis” route. Every child is different and we place too many labels on how our children are supposed to behave. I truly feel that the best place to investigate the root cause of increased tantrums is in the safety of your home. This is where your child feels the most at peace and they can open up to you. Which brings me to the main purpose of this article, to share some helpful techniques that make a difference when dealing with temper tantrums. I have to give a shout-out to my mother because this advice is worth weight in gold. Children don’t have the ability self-direct like adults. While we adults wake up with a to-do list in mind and can easily flow from one activity to the next, this is not the case for kids. If left to their own devices, our children will run completely wild, going from here to there in a disorganized manner. This can cause them to become so overwhelmed that the only way to regain any sort of control is to allow themselves to burst out into tantrums. It’s a very effective way to get our attention so we can intervene for them. This is one of those times you have to snap out of it, grab an extra cup of coffee, and direct your toddler on the next task. Direct them simply by saying, “Okay baby, now it is time for us to color,” or “clean up,” or “get dressed.” Then direct them to that task. It will help pull them out of a temper tantrum. Redirecting has an even better impact when you say your commands use big facial expressions or making your voice overly cheery and excited. This has worked for me time and time again. Though it can be exhausting at times, I am starting to see the positive effects of the consistency. My son’s tantrums are shorter and he is more easily pulled out of them. Takeaway: When your child is having tantrums, keep directing them to the next positive activity. Distract them from why they were upset in the first place. Don’t be afraid to correct your children. At this point in their development, they have no clue what acceptable, civilized behavior is. I am not a huge proponent for spanking children the minute they step out of line. Yes, spanking immediately stops a behavior. But it teaches no life skills. We absolutely need to let our little ones know that it is NOT ok to throw toys when we are angry, to scream in public, to be unkind to other children. They need to KNOW without a doubt that tantrums are not acceptable. But we need to communicate this in the same way we would if we were speaking to an adult subordinate at work. Talk to them slowly, calmly, and with respect. Related: Want to be a calm parent? Here’s how to do it. Here’s an example: The other day my toddler wanted to me to open the cleaning closet. Inside is a bunch of vacuum parts, cleaning supplies, and randomly, a Bowes speaker. You know, those colorful ones. After about 5 minutes of protest I finally opened to closet to see what he wanted even though I knew there was nothing in there for him. He wanted the bright turquoise speaker. I told him no and he began to throw a massive temper tantrum. I got down to his level and explained to him that it was an expensive electronic toy that belonged to mommy and I didn’t want him to break it. I explained to him that I would love to play with his toys together which are safe for him to play with. Did he understand everything I said? Probably not, but he got the idea that his mommy loved him and wanted to explain something very important to him. We immediately went into a new room to play with a toy he doesn’t see as often and were able to defuse the situation quickly. Takeaway: Correct your children, using the same language you would as if you were talking to an adult. Just speak slowly, use eye contact, and don’t forget to end it with the words: I love you. What does a usual day for your toddler look like? Are you rushing them around from one thing to the next most days? Is your house filled with enough toys to open up a boutique toy store? Children’s minds can quickly become overwhelmed by overstimulation. Perhaps each day is filled with so much sensory overload, that the only way to cope becomes erupting loudly and frequently. Simplifying is one way to protect the sanctity of childhood. Childhood calls us to slow down, to have less, and to do less. I love this article because it perfectly exclaims why kids need minimalism. So how do you simplify? Start with the stuff. There is something cathartic about getting rid of excess. You can do it one day at a time. Donate unused toys and books. Box up excess clothes. Remove clutter from the walls. You don’t need every single school picture in the hall! Next, take away one small sensory stimulant each day. Maybe you put the news on while you eat breakfast. Try turning the TV off during this time. Drive down the road without music playing. At the very least put your headphones in so you children can’t hear it. They need to remember what it is like to exist in silence, as they did when they were in your womb. Lastly, look at your schedule. Does it have any breathing room? Or do you go from wake up, to get ready, and out the door hustling from one thing to the next? One easy way to allow them breathing room is to not rush into their bedroom the moment they awaken from a nap. Give them five or even ten whole minutes to be alone with their stuffed animals or their thoughts. This will teach them a valuable life skill. How to be OKAY being alone. As a parent of a toddler, I thought it would be easier for me to keep him busy, busy, busy so he didn’t have time to get bored. What I realized is the slow moments at home is where he makes the most progress in learning patience and manners. Related: Simple tips to create a positive home environment. This tactic to deal with temper tantrums takes more work up front, but in the long run it will help your child be more centered and in better control of their emotions. Takeaway: Do not expect your children to be able to mentally handle the pace of adulthood. Slow down. Have less. Do less. Just allow them to be in the moment and don’t rush them through childhood. As a nurse, I have learned to look at human problems from a whole body perspective. How does each body system interact with each other to create overall wellness or sickness? This includes mental health. When our children have an unmet physical need, it can spill over into their mental health. But sometimes as parents it is hard to know what is wrong, especially when they can’t verbalize yet. I complete nursing assessments on my patients from head to toe, discovering hidden problems in each nook and cranny of the human body. I do this by thinking systematically. I find it useful doing this for children’s needs as well. Does his head hurt? It the light too bright? Is he hungry/thirsty? Is the room too warm/cold? Is he tired? Is he teething? Growing pains? Dirty diaper? Shoes too tight? You get the drift! There have been times where my son didn’t need a nap necessarily but I put him in his crib with a few toys so he could be alone and recenter himself. It is a safe place for both of you to have a break from each other when nothing else seems to work. Takeaway: Make sure their physical needs are met when they can’t seem to shake their moodiness. This seems obvious to stay calm right? Except it isn’t. All you want to do is sit down and relax for one second. You are so tired of all the whining you feel like your brain might explode. This is a pivotal moment for you as a parent. This is where you have to take deep cleansing breaths and go to a happy place in your mind. You have to do WHATEVER you can to keep your cool so you can teach your child how to control their emotions. Become the example you want your toddler to emulate! Our future adult children need this from us now. One day you will be sitting around a table, drinking wine with your grown kids, and playing cards. You will get to have those sweet little grand babies with their fat cheeks over for lunch but then give them back when they get cranky because of the positive rapport you developed with your own children. How do you get these future privileges? By learning to control your own emotions now. Yes, you could easily yell and spank your toddler when they are throwing a fit over something silly. But you will pay royally in the future for handling life this way. Studies have shown that yelling causes children to have increased behavioral problems, depression, poor physical health, and can actual change the way that their brains develop. So maybe taking care of yourself means waking up early in the morning to have an hour of personal time each day. Or perhaps you will have to sacrifice a little time with your spouse so each of you can getaway with your girlfriends. One thing I do each day for my mental health is exercise. I throw my son in the stroller with a bunch of snacks, and then go on an hour long walk. During this walk I throw my headphones in and fill my brain with positive thoughts. Sometimes I listen to an audiobook, other times a podcast. I have found that those people in my ears are my tribe. They get me through some tough days with their words of encouragement. However you personally chose to accomplish self-care, do it so you can be mentally strong and patient for your kids. Related: Techniques to be a happy mama bear. Takeaway: There is nothing you can do to prevent temper tantrums from happening. It’s a normal part of growing up. You can only control the way you react. So take care of yourself as best you can so you will have the mental fortitude to commit to being calm in the middle of their storm.